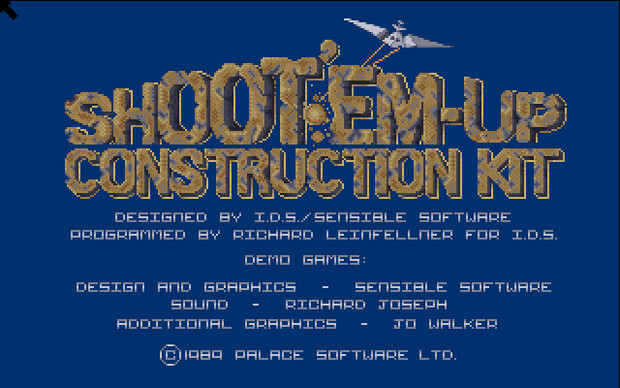 So "back in the day" there was this software, Shoot 'Em Up Construction Kit. Lovingly referred to as "SEUCK." It's still one of the pieces of software most responsible for my career to this day. I was very fortunate to have a father who was not only an artist, but a pioneer of computer graphics. As such, after exhausting the uses of the C64, he had latched onto the Commodore Amiga-- a machine ahead of its time in many, many ways; its graphics capabilities being leagues beyond PCs at the time. While he was busy paving the way for the future of CG, the household computer was all about games for me. Especially the C64 as I'm sure many of you know holds a classic games library, but the Amiga brought with it not only some amazing new games, but a suite of incredibly powerful creative tools. But when a new version of SEUCK came out (there was a C64 version previously which I surprisingly never knew about), it found a beautiful home with the sweet new Amiga hardware and graphics. Basically it's a shmup creator, but it's all data driven by user imput. No coding, just lots of numbers. It also had a mini paint program inside to make all your graphics. I was totally addicted, because as much as I loved playing videogames, I longed to make my own. Basic programming was just that, it hindered my more artistic leanings with left-brainded coding language my right brain wanted to bypass. 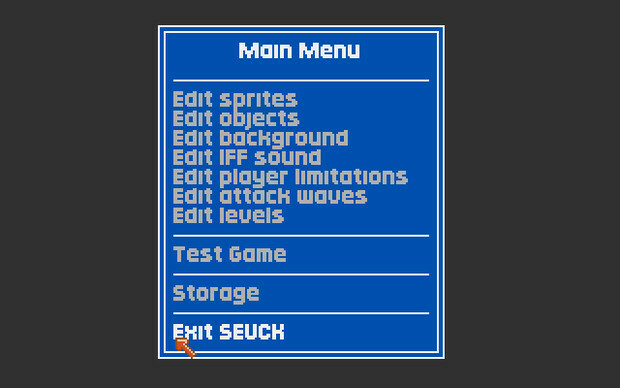 Since SEUCK was all GUI, it gave me much more freedom to create than to code. I spent all my computer time with it, making little shooters and testing out all the features. I exhausted that thing for all it was worth. I wrote the developers letters and told them all the things I was making and sent them my games. The amazing thing was, they wrote back!! They answered all my questions and encouraged me to keep making games, which I certainly did. There were a couple games I made that I still remember in vivid detail. One was "Spider-Man" which is exactly as it sounds. One of the things I always tried to do with SEUCK was experiment with what was possible in the shoot-em-up genre, just by altering player's perspective. The software gave you a wide berth in making any sort of top down type of game. With Spider-Man, I had the "top down" feature the side of a building with Spidey crawling up it. A building was easy to make with the tile artwork system. Spidey could crawl all around the windows and such, I had falling flowerpots and screaming residents. Why were they screaming? Because at the top was the Green Goblin throwing pumpkin bombs! All Spidey could do was shoot webs, but that was enough, I just gave the bosses lots of hit points. I had a level in a sewer with the Lizard, A warehouse with Hobgoblin, a construction tower with Sandman, and for the final boss, Venom. I wanted him super big so I figured out how to join 4 sprites together to make one giant one... It was so awesome to have a Spider-Man game of my own, considering there weren't really any other ones to play! The other memorable game I made was also based on a favorite comic. Simply called "Doctor Doom," it had the player play against Kristoff, one of Doctor Doom's robot doubles who became self aware and thought he was in fact Doom. The player had to guide the real Doom thru his highly fortified castle mowing thru an army of renegade Doombots and even fight the Fantastic Four. It was not too difficult to emulate the FF's powers as weapons, tho Mister Fantastic did pose a problem. I wanted him to have stretchy arms, of course, but needed a way get the software to do that. There had to be a way, because arcade games at the time did cool tricks like that with sprites, I just had to figure it out. "If Ikari Warriors can do it, I can do it!" 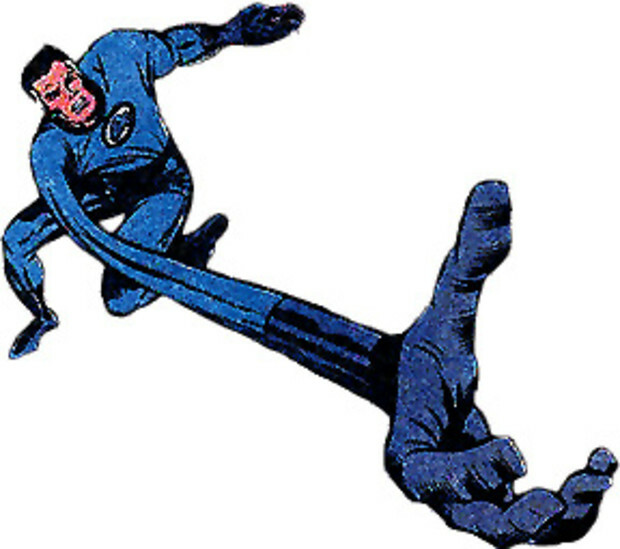 The trick was making Mister Fantastic's hands as separate enemies and program their movement independently. SEUCK allowed you to set speed and movement attributes for every sprite, and allowed yo to attach "child" sprites to "parent" sprites. So to the hands I attached several arm segments, where each different arm piece had a -1 slower speed than the previous. It's kind of hard to describe, but trust me: stretchy arms. I was so damn proud of those stretchy arms, and I didn't realize it at the time but SEUCK was really getting me to think and deconstruct how videogames were made. Fast forward: I'm interviewing for a testing job at Electronic Arts, and they are asking me all this stuff about the games I've played. At one point I go on and on about Spider-Man and Doctor Doom, and the guy is asking which one, because he hadn't heard of them. I'm all, "Oh, the ones I made myself," and whipped out the disks and asked if they had an Amiga to play them on. They did, the reaction was a mix of surprise and curiosity, but they offered me the job. This of course led to exposure of new, professional tools, and even more ways of thinking about making games. It only furthered my love for videogames inside and out. From PC to Genesis, SNES, Playstation and on, it's been games ever since. 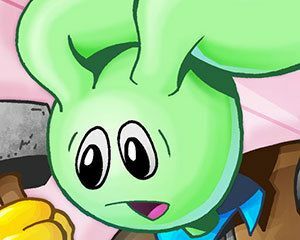 I've done all kinds of stuff in the industry over the years, but all in all I've been making a living making games, something as a kid I never thought I could do. Dozens of times I've been on the other side of that interview, and I can say to everyone who wants into the biz if you want that edge, make games. Over and over I note that people who get hired are people who involve themselves in the creative process on their own. Be it Doom maps, Sim Golf courses, Unreal mods, Little Big Planet levels, programmers, artists, designers-- find a way. I don't claim that SEUCK was the only thing I had gong for me, and it wasn't even the only construction kit I played with. But I garner it helped clinch the deal. Some kind of Amiga Emulator exists, I'd love to try and get the old SEUCK games up and running again, but I've yet to properly follow up on it. Altho I'm sure as an adult and seasoned gamer my old games may not be as amazing as I thought they were, in retrospect I know they were crude. But I sure do remember making them with a smile.